SiteOne Landscape Supply brought back LESCO.com, a standalone website for the agronomic brand. 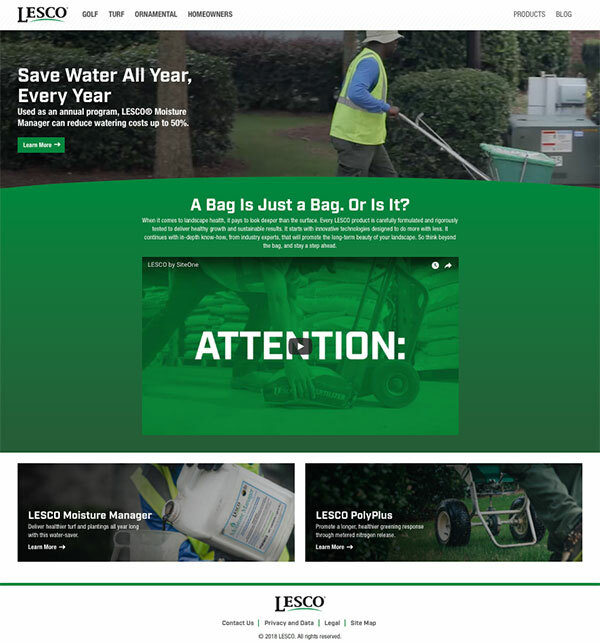 The new website features information on LESCO products for the golf, turf and ornamental markets and a blog where users can find answers to frequently asked questions and additional resources. Golf course superintendents, turf managers and landscape contractors can all learn more about fertilizers, control products, specialty agronomic solutions and more. Through descriptions and video testimonials, this site highlights LESCO professional-grade products such as Moisture Manager, Poly Plus and new innovations as they are introduced, all designed to efficiently deliver healthier turf and plants.